There are many costs associated with colocation. Colocation services do not just mean signing a contract and paying a monthly service fee. There are real costs associated with getting started, especially if a customer chooses to use its own IT equipment. Some of these cost include purchasing hardware, installation, shipping and upgrades. Unfortunately, most companies neglect to accurately predict these startup costs. It is true that colocation centers provide a company access to the unlimited benefits of a data center. However, users need to be aware of the upfront costs so that they can be prepared during start up. The initial costs may seem high at first, but the benefits and advantages to colocation tend to pay for themselves over time. A customer can provide its own hardware to store in a colocation facility. 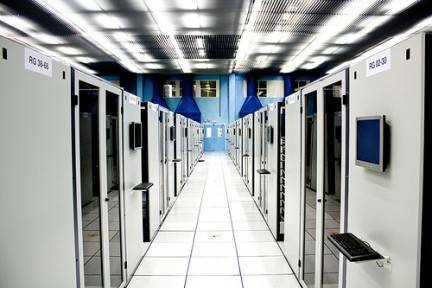 The storage racks and rooms, however, are provided by the colocation facility as part of its services. Owning its own servers gives the customer freedom over its overall use. However, these can cost anywhere from $1,500 to over $10,000. The model, capabilities and other factors will determine pricing overall. Those companies who purchase in bulk will typically get a per unit discount. The server purchased by the client will ultimately determine the overall speed and limitations of its IT infrastructure. Therefore, clients should purchase server equipment with fast processing speeds and high amounts of RAM. When a client signs with a colocation provider, they are required to deliver the IT equipment to the site. Ultimately, the price for shipping or transporting those pieces of equipment will depend on several factors. These include how much they weigh and the distance between the customer and the colocation facility. On average, a new start-up customer can be looking at anywhere from $200 to $1,000 in shipping costs. These are just shipping costs. The customer will then want to consider shipping insuring the equipment to protect its investment in the event it is damaged. Shipping insurance can cost a customer anywhere from a few hundred dollars to equal to that of the shipping costs. Most colocation providers will charge a monthly fee for its contract. However, users will have the option of adding additional services and support features. Users looking for fully managed services are looking at higher prices than the unmanaged service cost. This price will depend greatly on the amount of server space required by the customer. In some cases, colocation facilities will require a year’s payment upfront, which can be a considerable cost for a small business owner. In conclusion, the startup costs for colocation will vary greatly. The amount of storage needed, hardware that needs to be purchased, shipping and additional services can add to the overall cost. While some users only pay $500 to get started, others can spend over $5,000 to get started. Regardless of the start-up costs, most companies will report that their colocation services have paid for themselves in less than a year.